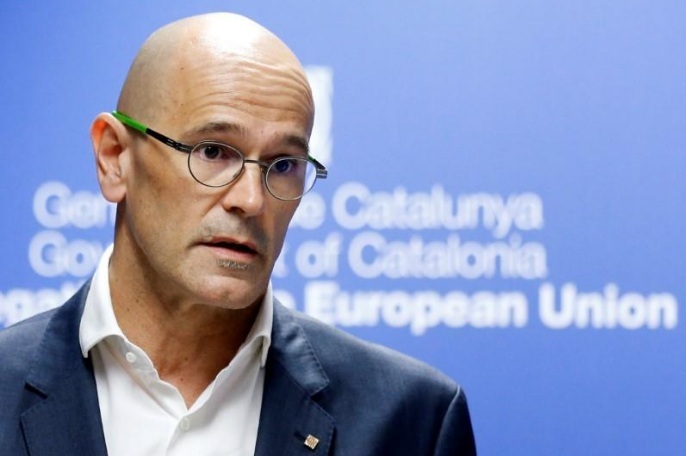 Catalan Foreign Affairs chief Raul Romeva holds a news conference in Brussels, Belgium October 18, 2017. LONDON - The European Union will lose credibility if it lets Madrid impose direct rule on Catalonia, and only the Catalan people have the right to change the regional institutions, Catalonia’s foreign affairs spokesman said on Monday. “How can the European Union live with that situation if it appears?” Raul Romeva told BBC radio, when asked how the Catalan regional government would prevent the Spanish government from re-imposing direct rule. The European Union will lose credibility if it lets Madrid impose direct rule on Catalonia, and only the Catalan people have the right to change the regional institutions, Catalonia’s foreign affairs spokesman said on Monday.